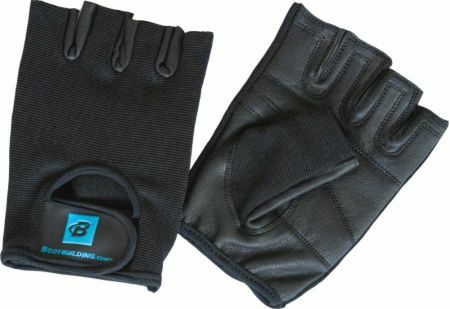 Lift heavy and hard with the new Bodybuilding.com Weight Lifting Gloves! Combining the functionality and durability you need to train all-out, these gloves are made of Amara with reinforced padding on the palm and fingers. The four-way stretch material on the back and between the fingers maximizes comfort and mobility. Circumference 6.5" - 7.25" 7.25" - 8" 8" - 8.75"
Measure the circumference of your flat hand below the knuckles, not including the thumb. For $9 this love is great. Fair amount of padding & good fit & construction. I completely demolished my Valeo Ocelot gloves, which were my favorites, but they aren't what they used to be & hard to find. These BB gloves took a workout or two to break in as not the highest quality leather, but again, for $9! I really got these for one purpose, and that's to save my hands from the super aggressive knurling on the hex bar in the gym I go to. These gloves definitely help to limit how painful that knurling feels. Although I can still feel it when I'm doing rickshaw carries with heavier weight, it's at least bearable now and I don't feel like it's going to rip off my skin. I'd recommend the for anyone one trying to protect their hands. Today was my first day using these gloves and they worked like a dream! I got a size small and they fit great on me. They are unisex sizing (not women specific, keep in mind when ordering!). You can tell these are high quality right off the bat!